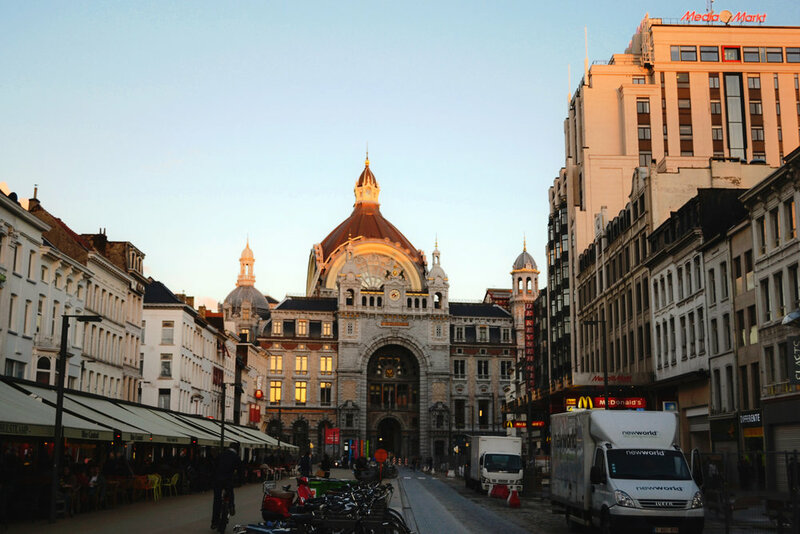 The main area of Antwerp has a quaint feel and is very walkable. 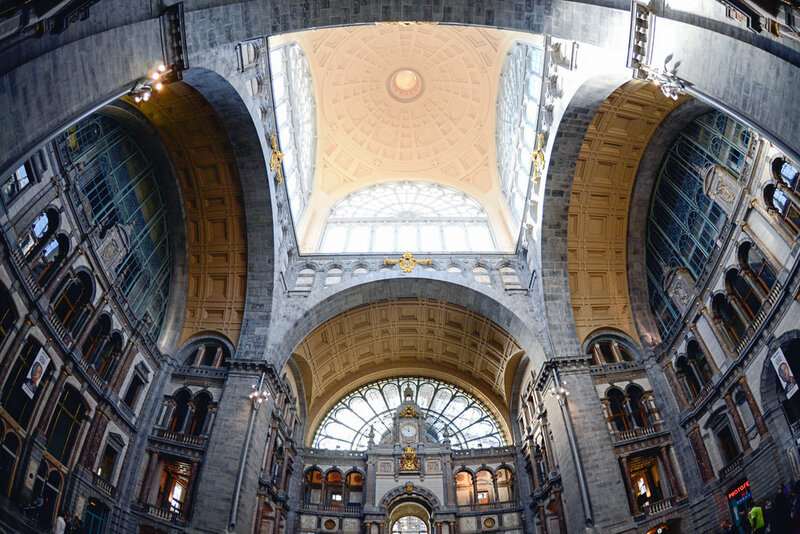 I stopped here for a day while traveling through Europe with a couple of friends, arriving at Antwerp Central station after catching a train from Amsterdam. The station's architecture (pictured at the top) is impressive and is probably one of the nicest stations I've been to. It's organized, isn't chaotic and is clean. In fact, Antwerp as a whole was a pretty clean city. We stayed the night at Leonardo Hotel Antwerpen, right outside the station. After putting our things down and getting settled in, we made our way to a few sights. Our first stop was the Cathedral of Our Lady. It's a gorgeous church with an area in the back where you can quietly take photos and watch the ongoing processions. During our time in Antwerp, this was the most memorable sight. 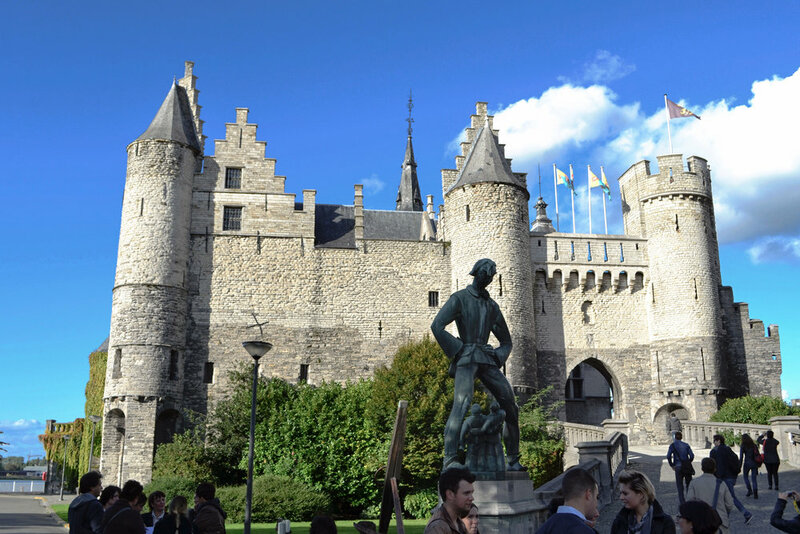 Het Steen castle is a small castle on the Scheldt riverside and was the final sightseeing spot on our list. We didn't walk inside, choosing to roam the area instead. 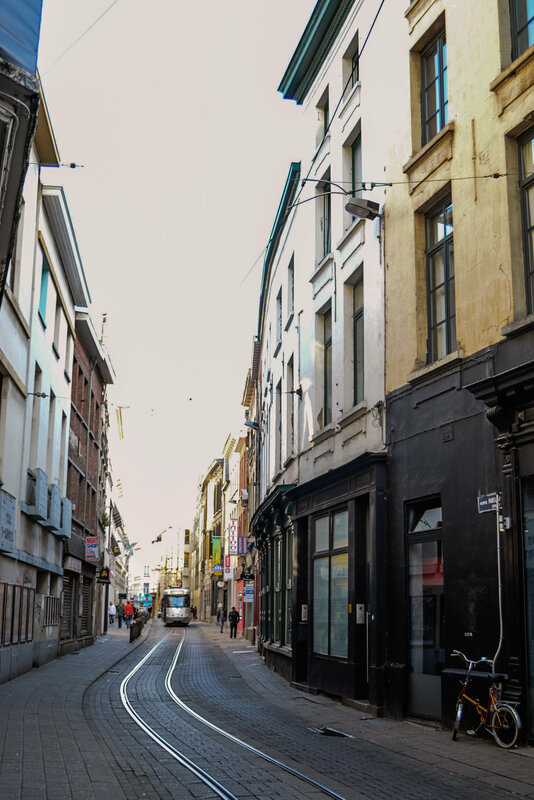 Our stay in Antwerp was brief and I wish we could have explored more. We even skipped dinner...but not before getting our fill of some good treats. 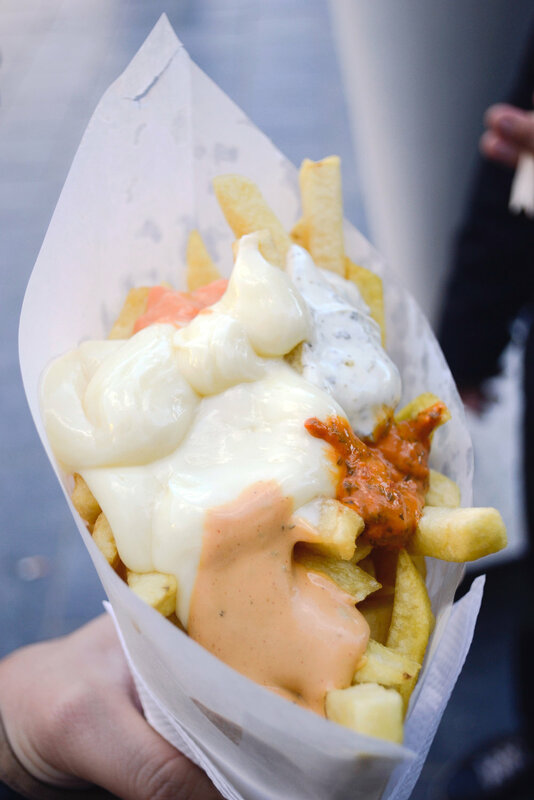 You have to get some Belgian fries when you get into Belgium, right? 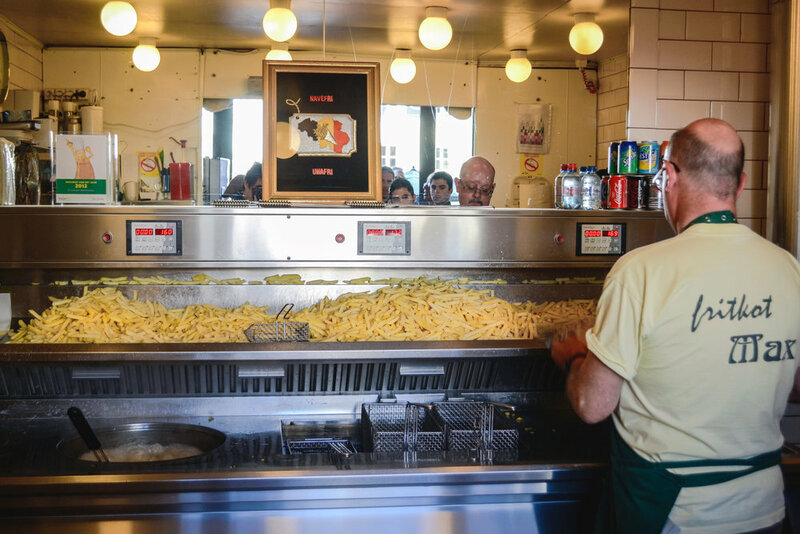 We hit up Fritkot Max, a pretty popular spot for fries at Groenplaats, a square near the Catheral of Our Lady. The amazing thing about this place is the variety of sauces that you can serve yourself. Curry, andalouse, tartar, samurai and a bunch more. 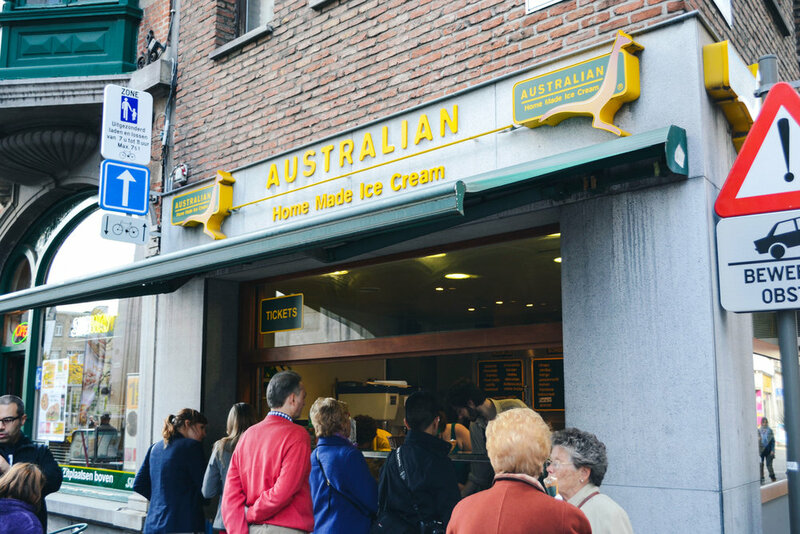 Ok, it's weird getting "Australian" ice cream as the name says in Belgium. This was some amazing ice cream, though, and we had to go back again for a second time. Perfectly creamy, and as you can see in the second photo, there was a crowd. 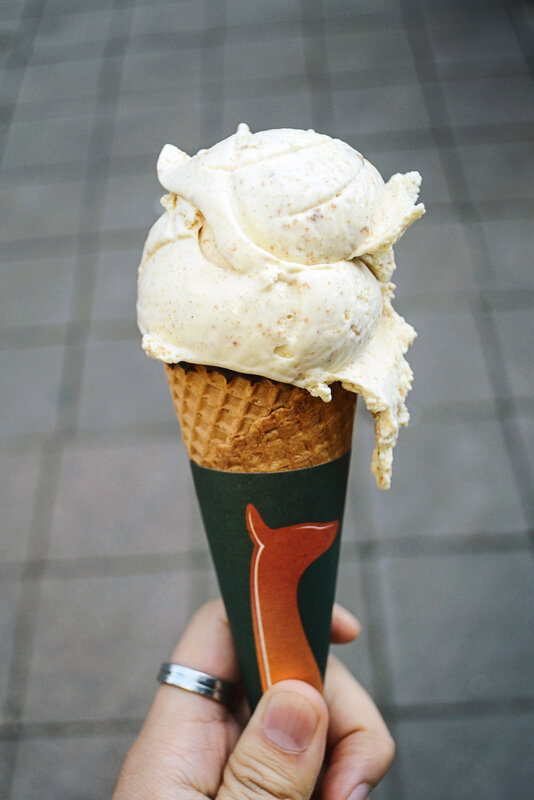 We got addicted to their Speculaas (Speculoos) flavor, made after the cookies that originated in the area. This place came as a recommendation from a friend, Kristi (if you're looking for yoga in Hawaii, check her out! ), who lived in Belgium. It's located in the central area and provides some excellent sweets to take a break with as you're exploring the area. 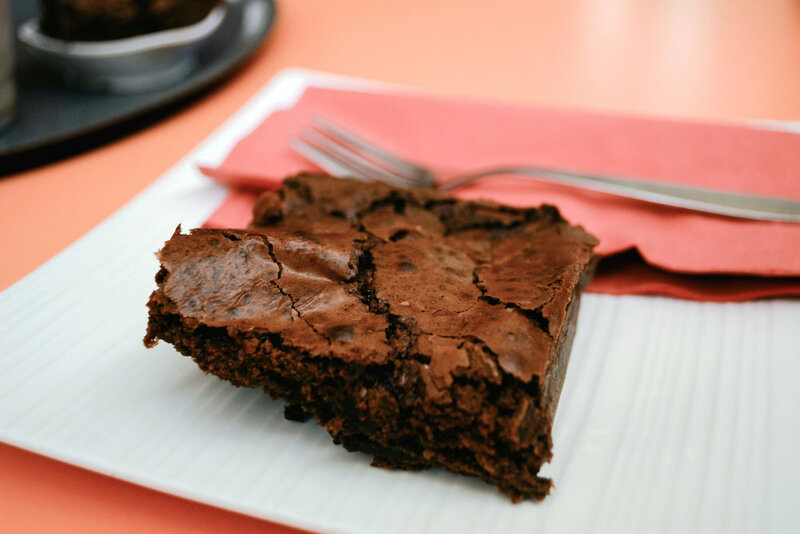 Go with anything chocolate!